If you are looking for information on the Cravery franchise business opportunity, Cravery franchises or Cravery franchising, then you have come to the right place. The Cravery transforms an old favorite, the pot pie, into a portable gourmet meal - freshly baked, made from scratch, with all of the slow-cooked flavors of a home-cooked meal, the gourmet quality of a white tablecloth restaurant, and ready-to-go convenience of fast food. Using only choice lean cuts of meat, fresh vegetables, sauces made from scratch, you can taste the quality of a Cravery pie from the inside out. 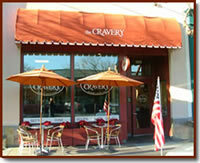 Cravery pot pies proudly boast no preservatives, additives, or artificial trans-fats. Our chefs have traveled the four corners of the globe to create the most exciting, sometimes exotic and always flavorful dishes. 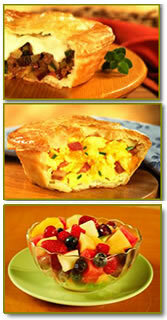 We have packaged them all into rich neat little bundles - our cravable, hand-held savory pies. The pies are complemented by oven baked sandwiches, innovative signature salads, homemade soups, specialty coffees, teas, juices, and old-fashioned cookies, brownies and fruit bars. Each authentic international and American dish is prepared with only the finest ingredients wrapped in our flakey pastry crust. 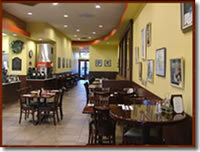 The restaurants offer breakfast, lunch, and dinner. Dine-in, Take-out and Delivery. Food quality, portability, convenient locations, speed of service and ease of eating are all significant factors for acceptance and growth. Share in franchise fees and royalty income by managing and owning your own territory. Master Franchise/Area Representative Franchises offer the potential for significant wealth creation by selling and developing franchises in your exclusive territory. As a Cravery Area Representative, you will receive 50% of the franchise fees and 50% of the royalty fees for all the franchises that open within your territory.